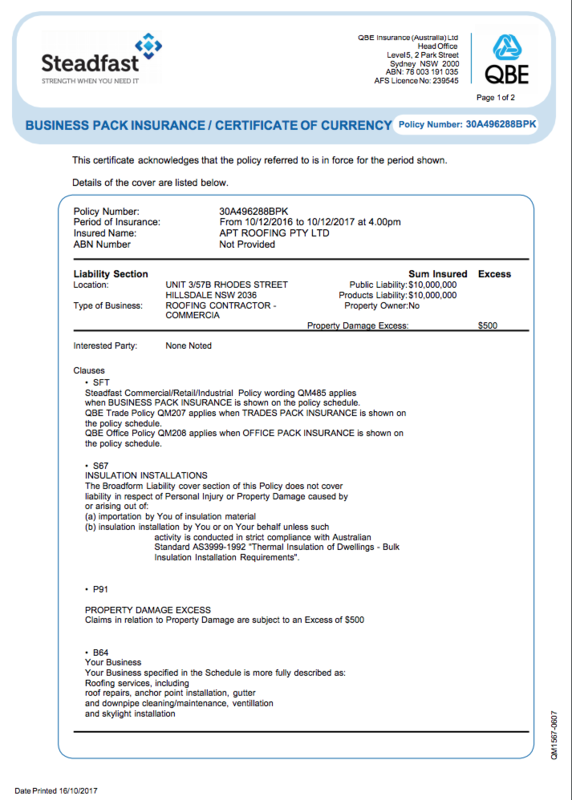 We take the business of professional roofing seriously. 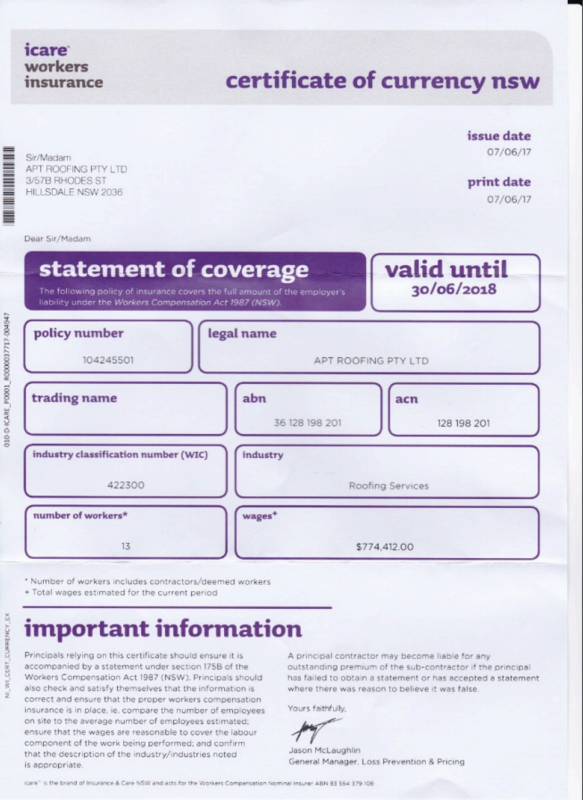 APT Roofing is fully insured and certified see below for copies of insurance and building registrations. 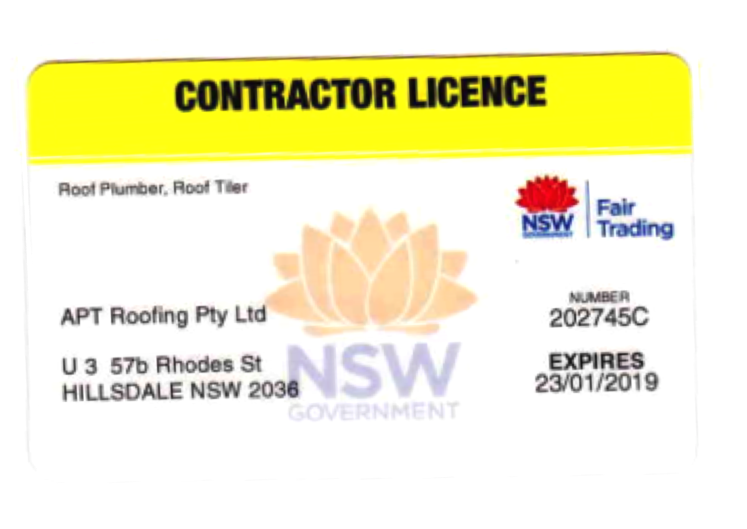 Apt Roofing Pty Ltd is a fully qualified, licensed and insured company, providing professional roofing services to the residential, commercial and industrial markets. We have a longstanding commitment in servicing Strata, Real Estate and Insurance Companies Sydney wide. We'd love to chat with your about your roofing project across Sydney. To get a quote call us on 02 9666 73 73 or click here to submit a quote request online.